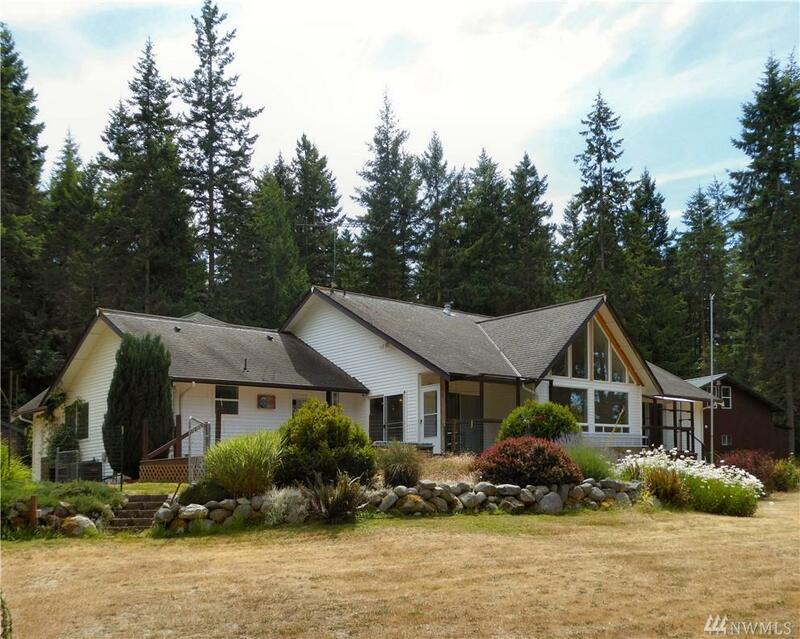 Find the privacy you desire on this 5 acre parcel, front 2 acres developed, rear 3 acres are forest. 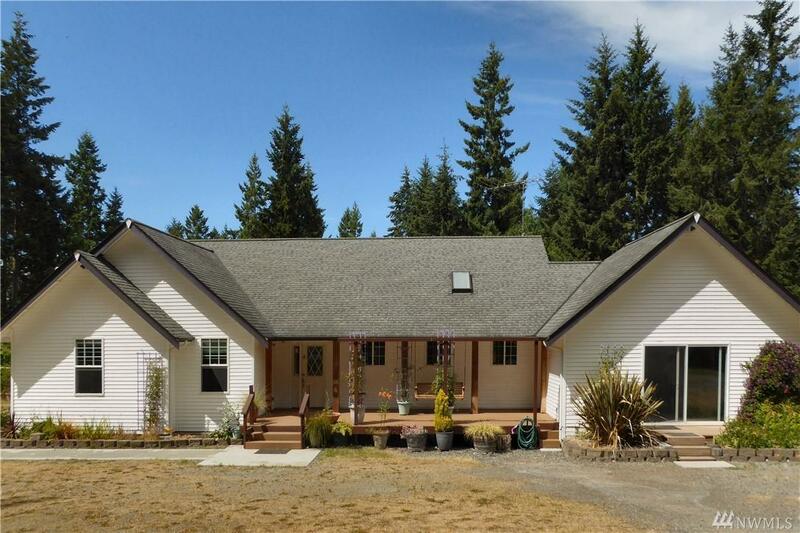 2,590 sq ft Rambler + Garage/Shop (48 x 39 ft) with extra 2 guest rooms up and half bath down. 4 other out buildings plus multiple fenced garden and planted areas. 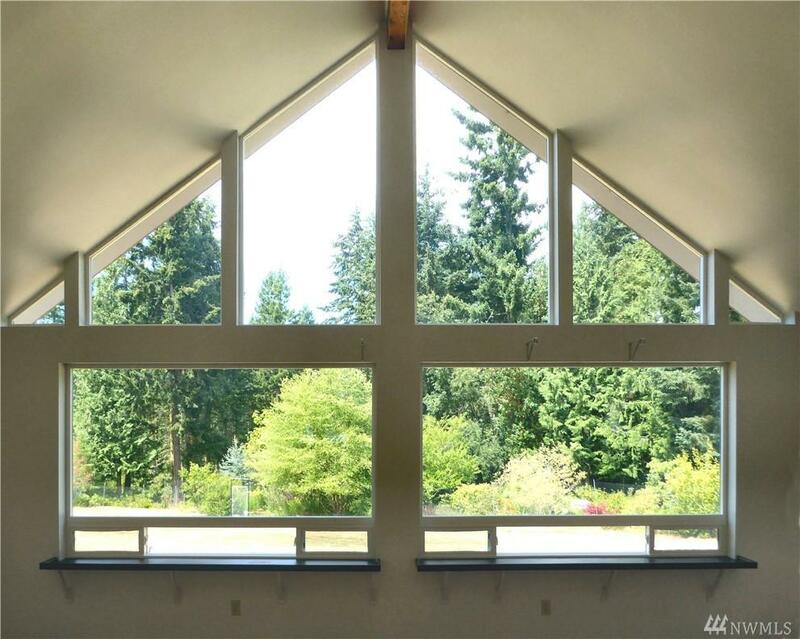 Enjoy the panoramic views from massive vaulted family room windows. 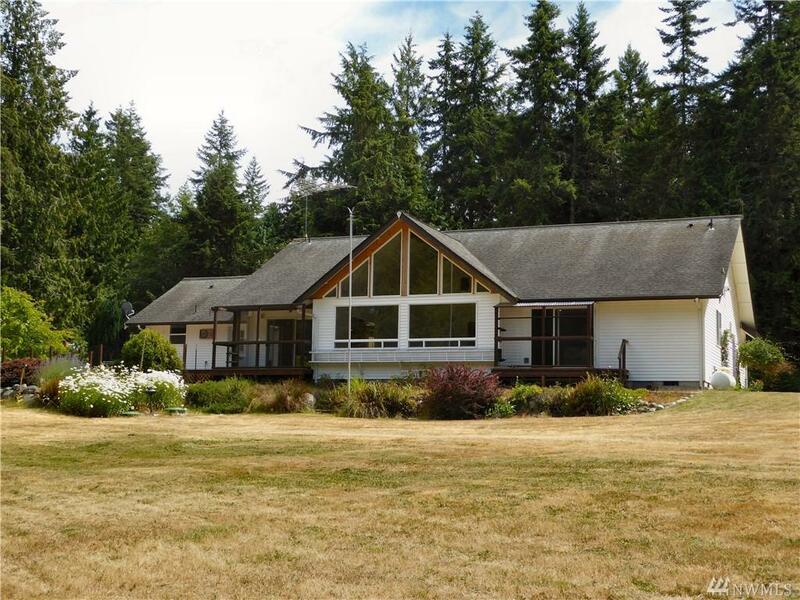 Security & surveillance system, 1,000 gal reserve water storage, generator, hot tub, hard surface countertops and numerous built-ins are some of the extras.